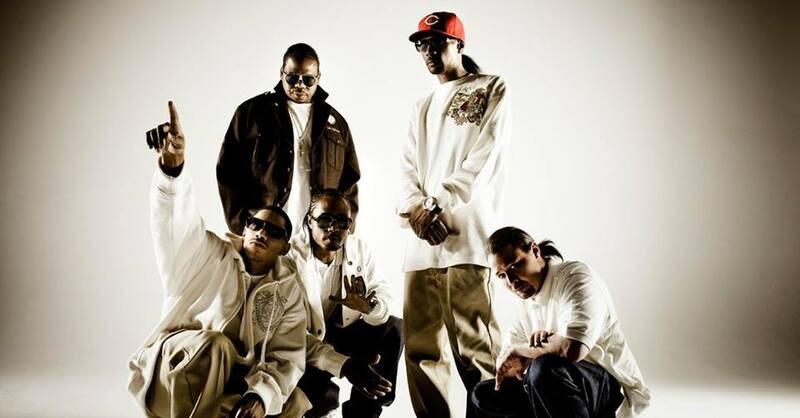 The rise of Cleveland’s Bone Thugs-N-Harmony is a classic example of the American Dream, a group of five young “brothas” who had a goal and would not allow any barriers to stop from attaining this goal. Layzie Bone, Krayzie Bone, Wish Bone, Flesh-N-Bone and Bizzy Bone went from being broke, hungry and homeless in 1993 to watching their brand of flowing, rolling, rapid-clip, harmonized rap — dubbed the “Cleveland Sound” — hit the top of the charts. In November 1993, they bought one-way Greyhound tickets to Los Angeles determined to prove their talents to their favorite rapper, the late Eric “Eazy-E” Wright of N.W.A. fame. They spent months living on the street, constantly trying to contact Eazy-E, until they finally received a call from him. They rapped for him on the phone. He said he’d get back with them, but never did. When they learned Eazy was doing a show in Cleveland, they hustled up more money for bus tickets and headed back. They found him backstage and after their second audition, Eazy signed them to his Ruthless Records label. Bone’s debut single, “Thuggish Ruggish Bone,” sold more than 500,000 copies and the video was the cable music channel the Box’s most-requested of 1994. Their Ruthless/ Relativity EP debut, Creepin’ On Ah Come Up, started moving large quantities shortly after its June 1994 release, shot past triple-platinum sales and became an R&B, and Rap chart topper. As the EP continued its reign atop the charts, the group began work on their debut LP, E. 1999 Eternal. The new album was released in 1995, and proved a great blend of sweet soul harmonies and boulevard mentalities. The album’s tribute to their dead homies, called “See You At The Crossroads,” became an MTV smash hit, launching them into mainstream radio play. The song took on an unexpected meaning after Eazy-E’s March 1995 death.